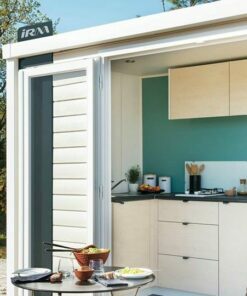 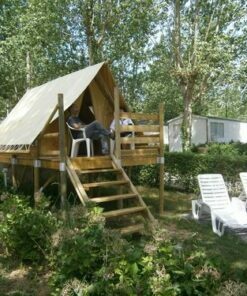 Go on holiday beside Biarritz for a trip for 2 in a Lodge Laina tent on Pilotis, it’s really tempting, let’s go? 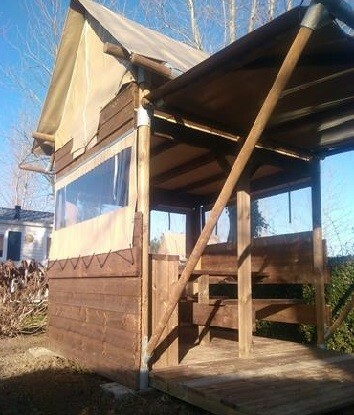 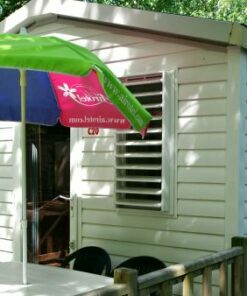 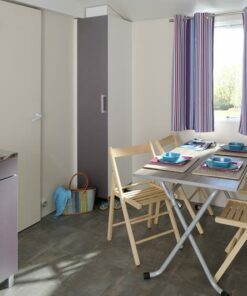 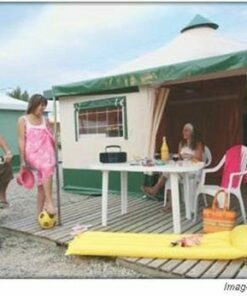 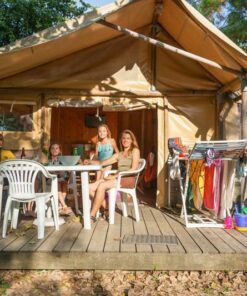 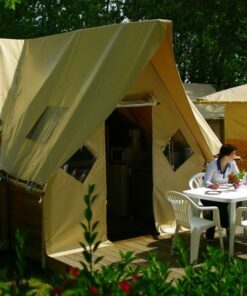 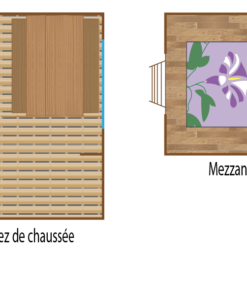 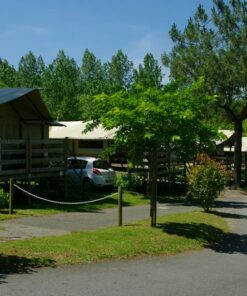 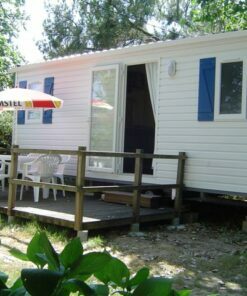 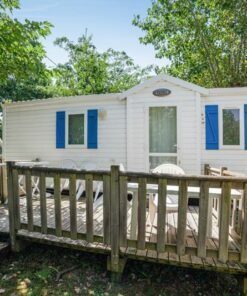 Rental of Tent Lodge Laina for 2 people in Biarritz. 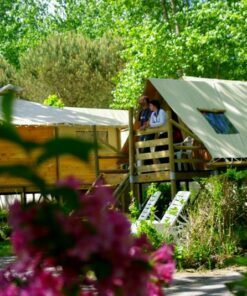 Laina Lodge is ideal for couples who want to camp in Biarritz without setting up a tent. 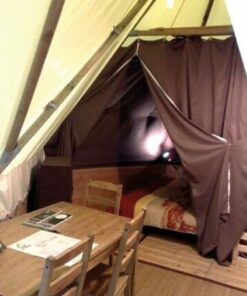 Imagine yourself on Pilotis, nestled in this wooden and canvas case equipped for you. 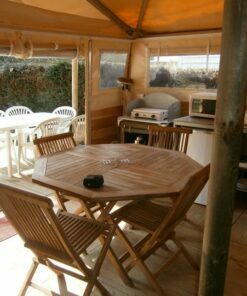 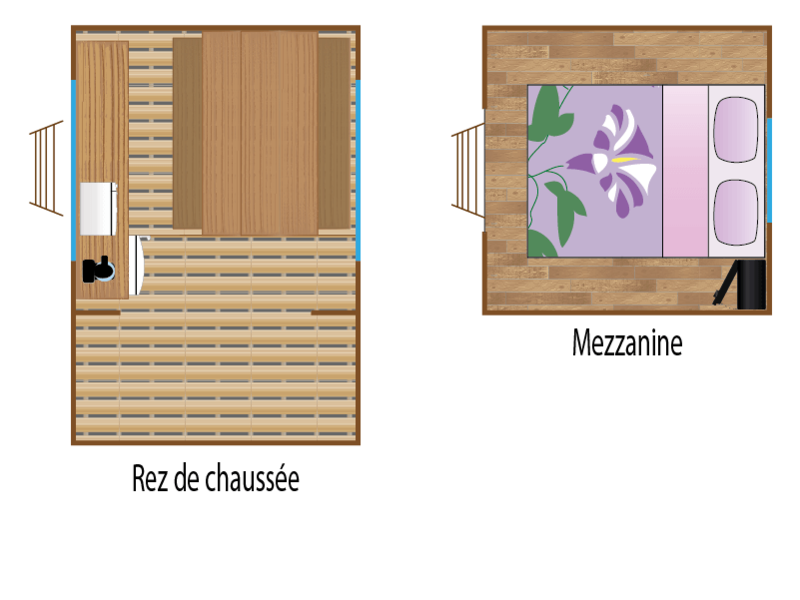 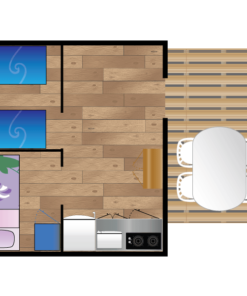 The lodge has a small sheltered and covered living space as well as a raised terrace. 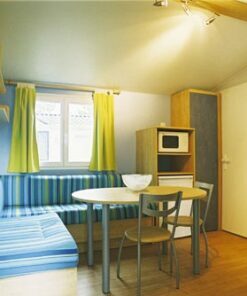 For example, we have provided some utensils, an electric coffee maker and a microwave oven for you to use for easy breakfasts. 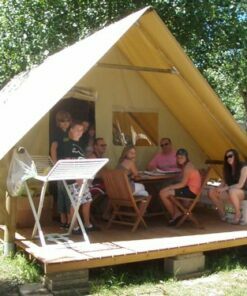 We also offer 1/2 and full board stays if you simply want to enjoy it. 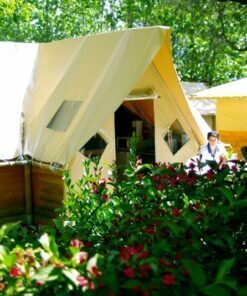 The ideal place to spend an unforgettable holiday in Bidart.